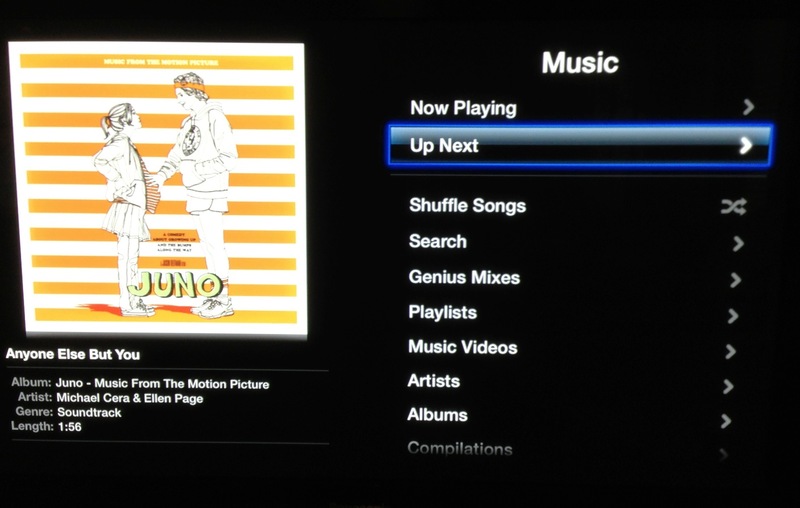 Earlier today, Apple released iTunes 11, and among the features included was the new Up Next queue manager for music. This queue also comes to the Apple TV today via the 5.1.1 software update. The Up Next queue is essentially a list of songs that iTunes automatically fills when you choose an album or playlist. 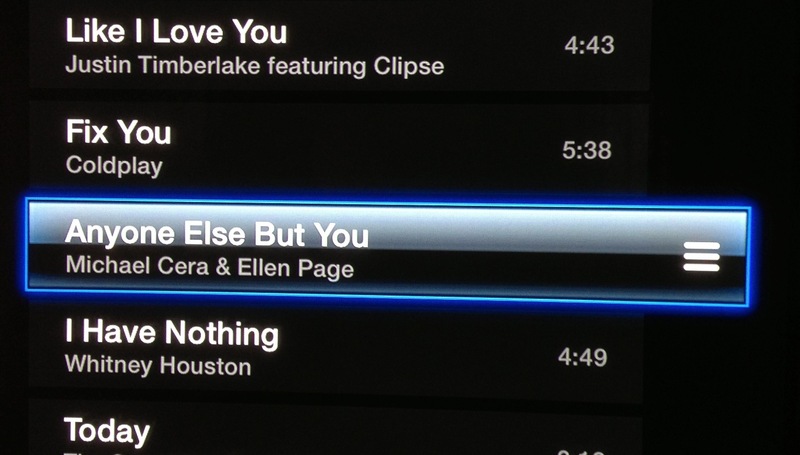 You can then pick songs to add to it at any time by right clicking, holding option and clicking or dragging them to it. The Apple TV has now been given the ability to use Up Next through either the iTunes Match or Computer ‘apps’ in the main view. When you enter the view, you’re presented with the Up Next item amongst the other options for playing music. When you head into the Up Next menu, you’ll see a list of upcoming songs. Mine is filled out because I selected ‘shuffle songs’, but it’s dynamic and will change based on picking albums and such. You can navigate the list of songs and hitting right on the remote will enable the ‘list’ icon for a song that you can then move up and down the list. You can choose to add or remove songs from the songs themselves. Managing the list can also be done with the newly updated Remote app. The update is available now in the Settings>Software Update section of your Apple TV.